When life gives you a bag of seal meat, make suaasat! 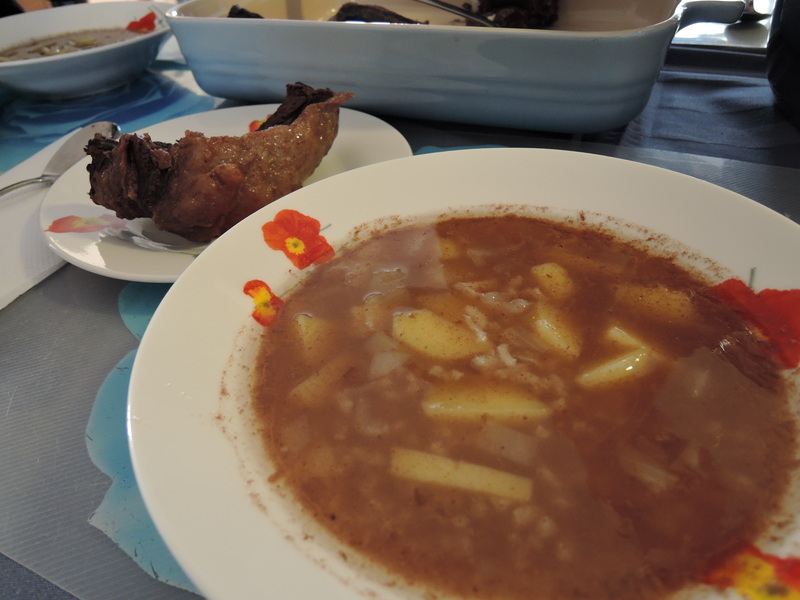 Suaasat is a traditional soup whose main ingredient is seal meat. It looks heartier than any stew I’ve ever seen and packs a distinct flavor punch like Arctic blood. 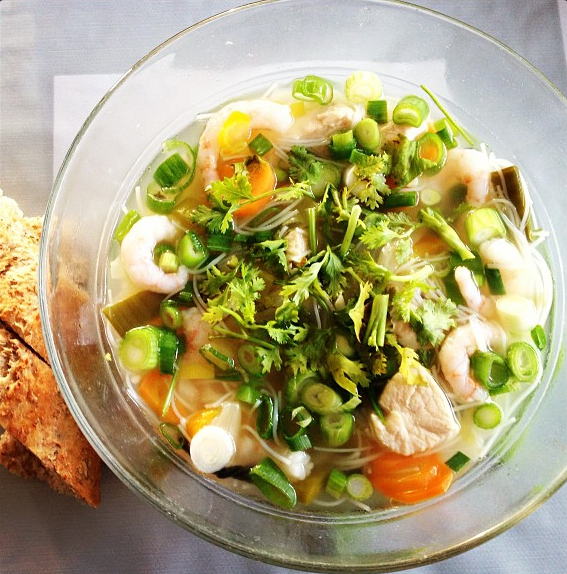 Many will say it is “old Greenland” food, and that’s probably true. I don’t think I’ve ever seen suaasat served in a restaurant, which would surely opt for a more modern carpaccio preparation instead. Not to mention, it most likely would not be the top seller on the menu as people who have not grown up with the tradition tend to think it’s an… acquired taste. But I like it, and I approach suaasat like its French cousin, the Vichyssoise. Just because you don’t eat it on the daily doesn’t mean you cannot know how to make it. So when some fresh seal meat more or less fell into my lap one day, I think my inner Inuit chef was screaming my name. How does seal meat fall into one’s lap? There’s a whole Facebook group dedicated to buying and selling things in Nuuk – clothes, housewares, skis, boats, puppies, and even food goods. I saw that my friend/colleague put up for sale bags of seal meat that her boyfriend had caught himself, so I jumped on the chance to buy some. If you’re not a hunter yourself, one usually just buys seal meat at Kalaaliaraq, the fresh Greenlandic market in city center, but it’s much more fun to get it from someone you know! I wasn’t totally sure what use I would put my seal meat to, until an opportunity presented itself to learn how to make suaasat. 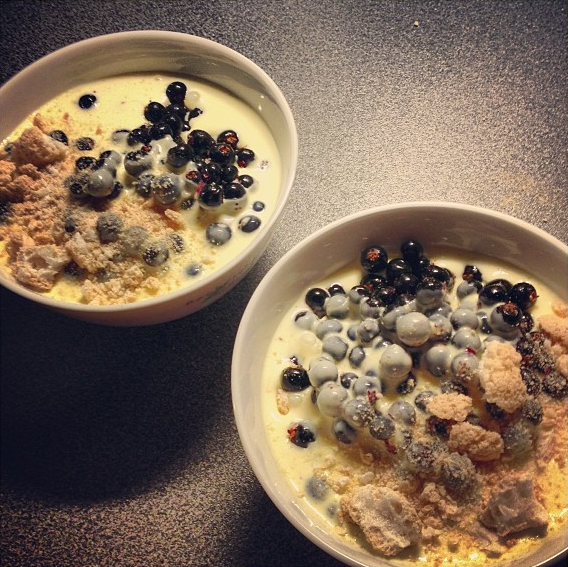 So one evening, my American friend and I made ourselves cozy while her Greenlandic husband taught us about this recipe. 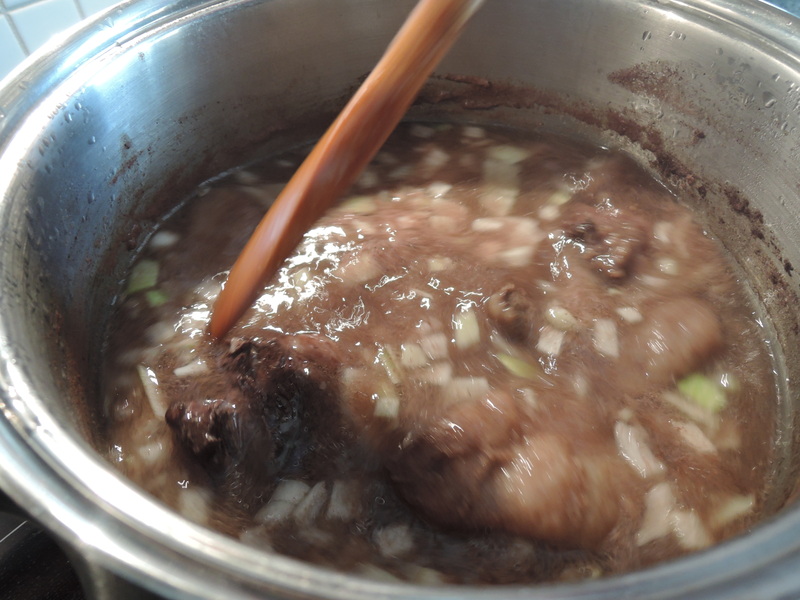 Trim excess fat from the seal meat, leaving some on for flavor. Fill a stock pot 2/3 full with cold water and place seal into the water. Season with salt and pepper, and bring to a boil for 30 minutes. 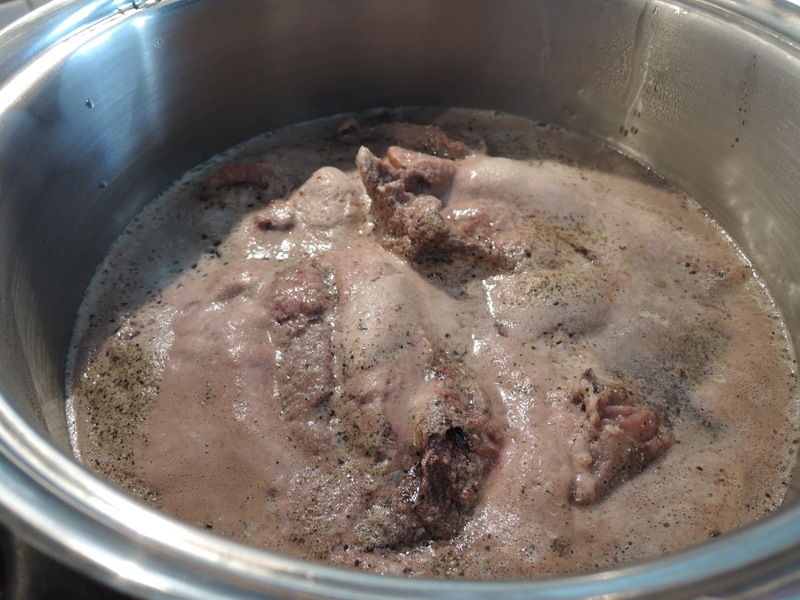 You will notice how the water almost instantly takes on the dark color of the meat. The blood and fat from the seal will rise to the surface and create a foamy layer. Stir occasionally. Add the rice and onion to the boiling pot and continue to boil for 10 minutes. Add the potatoes and continue to boil for 20 minutes. After approximately 1 hour total cooking time, the suaasat should be ready. Using a slotted spoon, remove the seal from the pot and place into a shallow serving dish. Serve the soup alongside the meat, and with mustard on the side. I try to consider both tourists and people moving/staying for a while, but much of the information is applicable for everyone. * Bring items that are durable and have plenty of life left in them. Don’t come to Greenland with clothing that may not make it for the duration of your trip, i.e. jeans, shoes, etc. It’s not that replacing the items is hard, just that it is quite expensive to do so! While it may not be your thing to buy new items before a trip if you already have them, you would be wise to do it anyway if you have any doubt about their lifespan! * Bring windproof and rainproof outerwear. Definitely bring a good jacket and a pair of pants that are wind- and rain-proof. They will come in handy both on the water for boat trips but also (and maybe more so) on land. The rain itself is not anything out of the ordinary, but rain plus wind makes for the potential to have very wet and uncomfortable clothing! * Bring sturdy, supportive, and resilient footwear. Most people wear hiking boots or heavy-duty sneakers around town, and if you are going sailing or plan to be in wet areas, waterproof boots (wellies?) are best. If you are buying new shoes prior to your trip, I would highly recommend spending the extra money for a nice pair rather than skimping for something cheap. The worst-case scenario is that you must purchase new shoes in Greenland. As I mentioned before, it will probably be no problem to replace them, but it will be expensive. * Bring many socks! For one thing, it’s just good to have extras, especially if you will be doing hiking or other outdoor activities. Nothing is worse than sitting in damp socks! For another thing, if you will be staying in or visiting a private home (for example, for Kaffemik or to visit a friend), the custom is to take your shoes off at the door and go around in your socks. * Bring clothing / accessories for many weathers. Layers are your best friend. The climate in Greenland is a bit tricky because there is very low humidity. What the forecast says and what the air temperature feels like can be two very different things. With no wind, it usually feels much warmer than it is. But if the wind picks up (and it probably will), it quickly starts to feel cold. Basically, be prepared for many temperatures, many weathers, etc. Use multiple thin layers rather than a few thick layers to regulate your body temperature easily. Keep breathable, non-cotton materials close to your body; layer heavier knit/woven materials on top; always have windproof and waterproof outer layers available. And always have a pair of gloves and a hat available, even in summer. * Check the weather. Make it a habit to check the weather daily, paying attention to temperature, wind, and precipitation. For one of the most comprehensive weather forecasts for towns and villages in Greenland, see Denmark’s Meteorological Institute – Town Weather. * AC Plug: You will need the 2-prong plug typical for continental Europe. It is the same for Iceland and Denmark, Greenland’s two largest connection points. Cafés, hotels, airports, etc. use wi-fi hotspot systems in which you purchase a set amount of time (30 minutes, 1 hour, 3 hour, 24 hour) and you receive a unique log-in code and password to use. MOST times you are able to meter the time by logging in and out – for example, use 5 minutes here, 20 minutes there, etc. But I have found a few places in Greenland that do not allow metering. The best rate for Internet I ever encountered was 3 hours of Internet (metering allowed) for 120 DKK (22 USD). * Know your phone’s international capabilities before you leave home. Is it unlocked for use with a local SIM card? What are the international fees for calling, texting, and data usage? Does it make sense for you to buy a cheap phone for Greenland specifically? For someone staying in Greenland for a short period, it might make the most sense to use your smartphone (if you have one) and purchase an international data plan via your home carrier. For reference, my international plan via Verizon Wireless is 30 USD for 100 MB of data, plus calling and texting. Every additional 100 MB of data is 25 USD, and it charges automatically. For someone staying in Greenland for a long period, it might make sense to get a phone with a Greenlandic number, but be aware that probably only the larger towns will have places to buy such a setup (Nuuk, Sisimiut, Ilulissat, and Qaqortoq are my best guesses). A cheap one can be 490 DKK (84 USD) for the phone and 400 DKK (68 USD) for the SIM card, which comes pre-loaded with a call/text allowance called Tusas. It’s like a debit system for outgoing calls/texts, and incoming calls/texts are free. So, the original SIM card purchase comes with approximately 114 minutes of outgoing calls or 567 outgoing SMS’s. I personally use 2 phones when I am in Greenland, an iPhone 4S with an American phone # and a cheap Nokia phone with a Greenlandic phone #. I use the iPhone for calls/texts to people in the United States and for Internet usage away from home/office, and I use the Nokia phone for calls/texts to people in Greenland. Simple! It is very easy to use the bus system in Greenland. 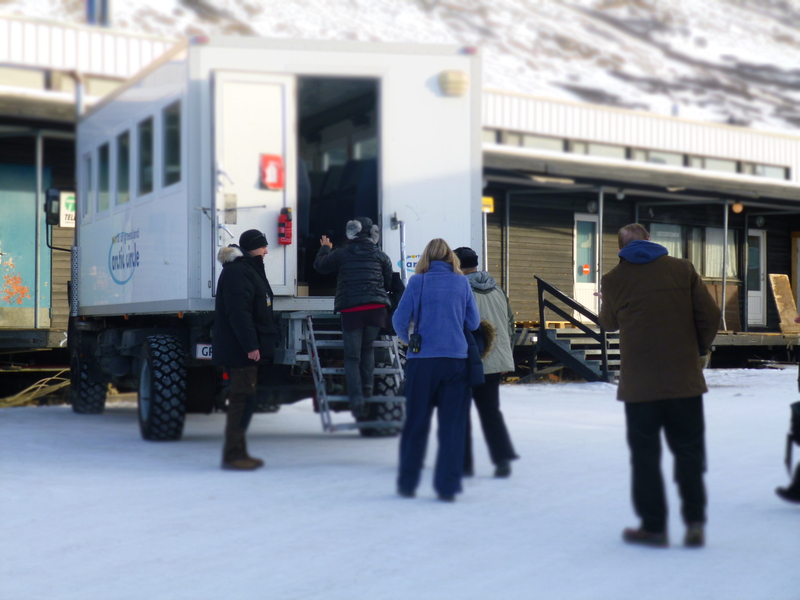 There are buses in Nuuk, Sisimiut, Ilulissat, and Kangerlussuaq. Nuup Bussii (Nuuk’s bus system) is of course the largest. In towns and villages without bus systems, you must either walk or use Taxi transportation. A single ride costs 15 DKK (2.50 USD), and you pay with cash on the bus. Keep your ticket stub because it is valid for unlimited rides for up to 1.5 hours. It is easiest to pay with exact change, and I’m quite certain the bus driver will not accept a bill larger than 500 DKK. In Nuuk, there are many routes that reach all parts of town, including city center, Nuussuaq neighborhood, the airport, and Qinngorput neighborhood (the new development approximately 5 km/3 mi outside city center). In general, buses run from 6 in the morning until midnight, and they reach any given stop twice an hour. Always consult the Schedule/Route Map for your specific needs. It is available online, and it is posted at every bus stop. For someone staying in Greenland for a long period, there is the option of purchasing an 11-ride per month card or an unlimited ride per month card. It can only be purchased at the Nuup Bussii headquarters. It makes financial sense to get a card if you anticipate using the bus a lot because there is a slight price break and it is, of course, easier than finding change every time. For transportation to Greenland, see How to Get to Greenland. * Greenland is a multi-lingual country. Greenlandic (called Kalaallisut) is the official mother tongue, Danish is the official second language, and English is a third language that children begin learning in the 4th class. * Language can be a tricky topic. Without going into many details about history and politics, language in Greenland is not clear-cut. There are Greenlanders who are fluent in Greenlandic, Danish, and English. There are others who only know Greenlandic & Danish or Danish & English, and there are others who only know Greenlandic. * From my personal experience, there are three very general trends regarding language proficiency. The larger the town, the more likely people are to be bilingual (Greenlandic & Danish or Danish & English) or trilingual (Greenlandic, Danish & English). The people that have consistent contact with tourists are more likely to be trilingual. This is a broad range of people from guides to restaurant bartenders/servers to airline staff, and so on. Many people are even proficient in a fourth language. Due to the closeness of the Danish language to other Scandinavian languages, this is typically Swedish and Norwegian. German is another common one! * Signs are most commonly posted in Greenlandic and Danish. As a very general rule: signs are posted in Greenlandic and Danish always and in English sometimes. See my extensive photo gallery of signs around many towns in Greenland for a good idea. * There are Greenlandic language learning resources available. Here I will give general tips regarding language according to your trip purpose to Greenland, your mother tongue, and your motivation to pick up a foreign language. Below, I will simply list the Greenlandic language learning resources that I am personally familiar with. Others may exist. The vast majority of Greenlandic language learning resources are produced in Danish. For those traveling to Greenland for a short period (i.e. tourists). For Danish speakers. If foreign language is not your thing, all signs, menus, etc. are posted in Danish so you will not have any problems getting along in Greenland. But if you want to pick up Greenlandic for fun, there is a Greenlandic-Danish dictionary (available online and in smartphone app form) that you can use. There is also a DVD set and a workbook available. See below for both. For non-Danish speakers. As a very general rule: signs are posted in Greenlandic and Danish always and in English sometimes. (See my extensive photo gallery of signs around many towns in Greenland for a good idea.) But don’t worry – spoken English is much more common than written English. If foreign language is not your thing, my honest suggestion for reading signs, etc. that are not available in English is to have a translator tool on hand (for example, Google Translate). It will be easiest for you to do Danish-English or Danish-Your Language because the Danish language separates noun and verb words. 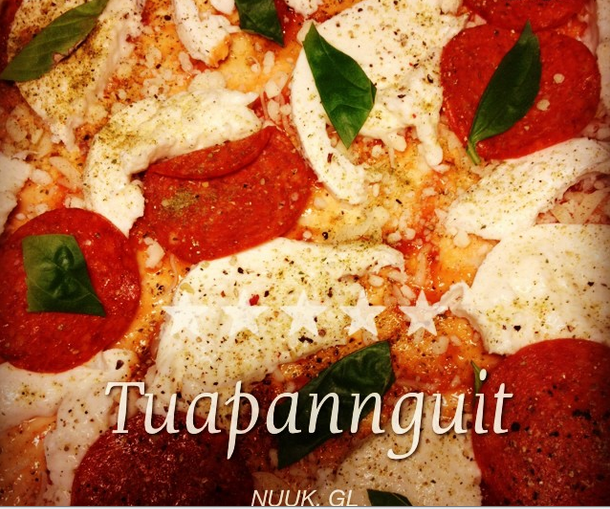 In Greenlandic, it can be hard to pick out the nouns and verbs because it is a polysynthetic language and looks different from anything you have probably seen before. But if you want to pick up Greenlandic for fun, there is a Greenlandic-English DVD set available. See below. Or you can use the Greenlandic-Danish dictionary (online or smartphone app) or workbook. You will have to use a translator tool to supplement both of these. For those traveling to Greenland for a long period (i.e. moving/staying a while). Coming soon. Greenlandic-Danish dictionary, called “Ordbogit”. Produced by Oqaasileriffik (Greenland Language Secretariat). Available online and in Smartphone App form. Greenlandic-English or Greenlandic-Danish DVD called “Learn Greenlandic with Per Langgård“. Produced by Oqaasileriffik. Available online, and I have also seen it in Atuagkat bookstore in Nuuk. Greenlandic-Danish workbook called “Qanoq: Opgave- og Grammatikbog” by Helene Brochmann. I have seen it in the bookstore in Sisimiut and in Atuagkat bookstore in Nuuk. Language Center in Sisimiut, called Oqaatsinik Pikkorissarfik. Provides intensive classroom courses in Greenlandic. Private Language Courses by Katrine Andersen at Katri.gl. This topic is a work in progress, but as a start, here’s a very random list of various foods prices at the grocery store or fresh market. Prices are converted DKK to USD. Please note: the exchange rate will, of course, change constantly, but these prices can give a general idea of the cost of groceries in Greenland. For this week’s up-to-date information on food/groceries in Greenland, the two grocery stores chains, Pisiffik and Brugseni, post their Weekly Specials flyers online. You will have to convert DKK to your own currency, of course 🙂 test. Pisiffik – Click on “Tilbudsavis” (Specials Flyer), then “Denne Uges Avis” (This Week’s Fyler). * Prices for Greenlandic products (ex: reindeer, muskox, ptarmigan, sea mammals, fish, etc.) are set by the individual municipalities when sold at independent markets like Kalaaliaraq in Nuuk or Qimatulivik in Sisimiut. The prices of Greenlandic products in the Meat section below represent Qeqqata Kommunia, the Arctic Circle Region municipality. Yogurt 21 dkk for 1000 g = $3.87 for 35 oz. Beer & soda bottle deposit 2 dkk per bottle (refundable) = $0.33 per bottle – Greenland imports almost all of its beer and all of its soda, but it bottles the beverages locally. Kaffemik is a fun gathering of friends and family to celebrate birthdays, births, graduations, new homes, and other milestones! 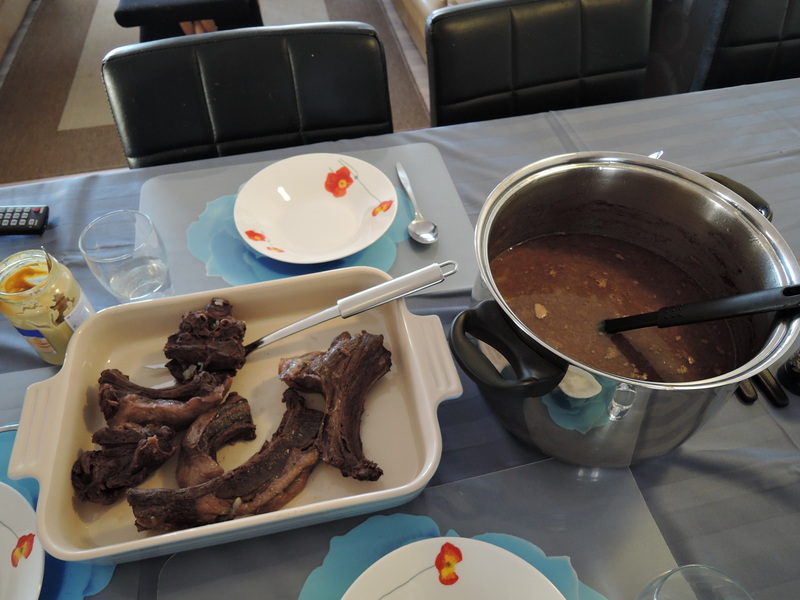 The person of honor hosts at his or her own home and provides coffee, tea, cakes, sweets, bread, and oftentimes Greenlandic specialities like reindeer, muskox, whale, seal, fish, etc. Kaffemik events are extremely common and can happen any day of the week, but they are most common on weekends when many people are free. The entire event typically lasts for multiple hours, but guests usually only stay for a short visit. Should you be invited to Kaffemik, these are some general guidelines to being a delightful guest. Please note, some tour companies do offer Kaffemik as an activity. In this case, the gift is not necessary. Please consult the tour company with any questions. Always take your shoes off before entering the person’s home (so wear socks!). Taste as many of the cakes and food as possible! They are delicious! Only stay a short while – enough time for a couple cups of coffee, say – so to give others the chance to take a seat and enjoy also. Bring a gift for the person of honor – something around 50-100 DKK worth (9-17 USD) is nice.